HW: Thank you for doing this. I know you don’t grant many interviews. WW: Glad to do it. It makes it easier when you interview yourself and know what the questions are going to be. That way there are no surprises. HW: So tell me about your shop. 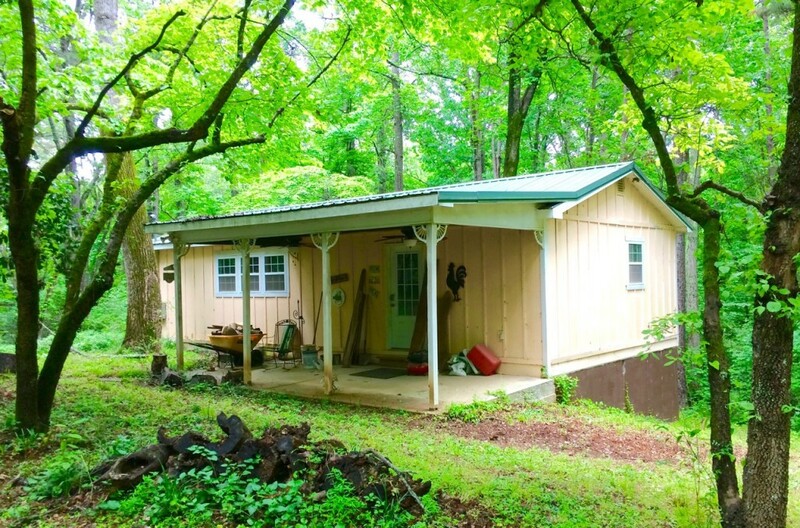 WW: I built a new building about 8 years ago — 20 feet by 40 feet with a front porch, and moved all my tools from the basement. I really disliked always having to clean off the bench or saw to do the next task. My goal was to be able to use every tool without having to clean it off first. WW: You know it didn’t. Nobody can build a shop that big. HW: What kind of stuff do you build? WW: Well, duh — wood stuff. 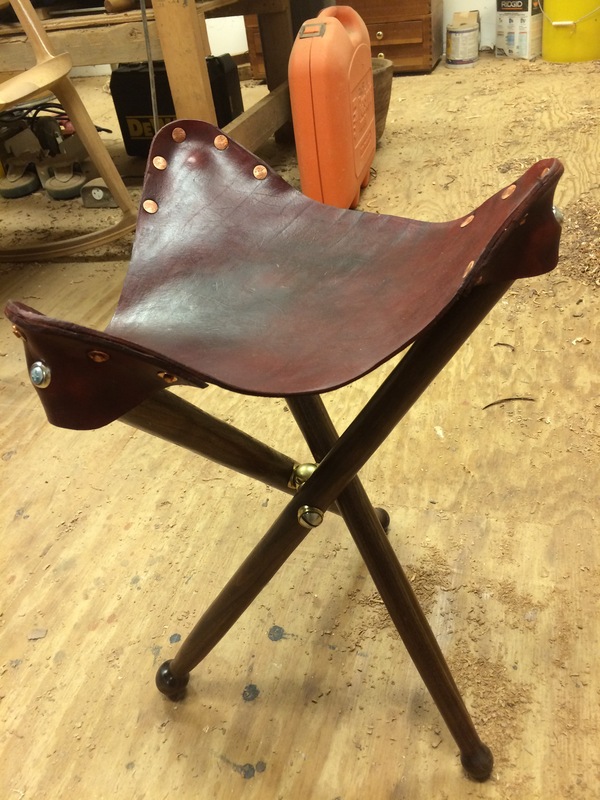 This is a woodworking blog. I like Shaker stuff the best. Traditional things that endure and will look good many years from now. Clever things are not much for me. You will never see me glue up a bunch of little blocks to turn a bowl for a checker pattern in the finished piece. That is just too clever. I like Shaker, small tables, bowls, and chairs. Lately I have gotten into Chris Schwarz’s “Campaign Furniture”. Roorkee Chair from “Campaign Furniture”. HW: Our son laughs about the roll top desk. WW: He would. I’ve known him since he was very young and all three of us share the same sense of humor. The roll top desk is sitting around about 80% complete for the last 20 years or so and he is always asking when I intend to finish it. Well, I intend to finish it every day, but it never happens. It is the old saw about perfect getting in the way of done. My reach exceeds my grasp and the desk is not up to par and I can’t bear to throw it away. HW: What about all the tools? Father’s Day must be a problem for him since you seem to have all the tools that cost less than $300. WW: That is true – I do enjoy having all the tools. Goes back to my childhood when my Dad had to borrow tools. The worst is when you buy a new tool and then find the same tool in the shop never taken out of the box. I hate that. HW: What is your favorite tool? 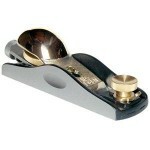 WW: Little block plane. To me one of the real joys of wood working is a tiny finishing touch like breaking an edge with the block plane. I fantasize about somebody finding an edge on one of my pieces fifty years hence and recognizing the little facets where I took the time to plane it instead of sanding it . HW: What is the worst thing about your hobby? WW. Does anybody like sanding? I despise it. 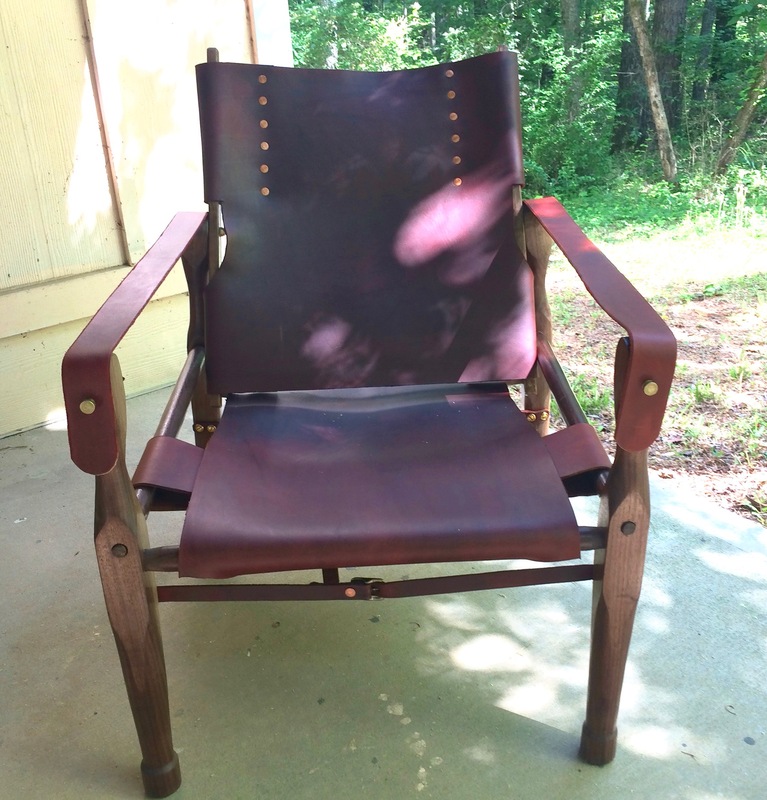 WW: In the broad arc of wood working, I guess it would be chair making. The idea of making each piece of a chair to fit the previous work was a revelation to this engineer who spent his life drawing plans where you make each piece from the plans and then fit them all together at the end. Plus shaping a piece of wood freehand with a drawknife or a spokeshave was terribly liberating. I credit Mike Dunbar for that eye-opener. Lately, it has been leather work from Campaign Furniture which has been fun and different. WW: I always have a list of future projects. There is a plan for Jefferson’s Lap Desk floating around. I have had a set of boat plans for 30 years which will likely never get done. There’s a writing desk and a chair to be finished. HW: Thanks for your thoughts. WW: I enjoyed talking to you. We seem to enjoy many of the same things. HW: Can I buy you lunch? WW: Trying to figure how we can go together. What a novel idea. Sure enjoyed it. Better get started on that boat before you get too old to use it. Great concept. Can’t keep from wondering who picked up the check for lunch.?? ?